In Spain, the Palomino grape is split into the sub-varieties Palomino Fino, Palomino Basto, and Palomino de Jerez, of which Palomino Fino is by far the most important, being the principal grape used in the manufacture of sherry. With more area under vines than any other country, it ranks third in terms of quantity of wine produced. The range of its wines is a reflection of the country's regional climatic diversity ranging from the rich and sumptuous reds of the hot and arid Ribera del Duero to the light, crisp whites of the cool Atlantic region of Galicia and Basque Country. For some of the country's best reds, try the regions of Rioja, Navarra, Ribera del Duero, Priorat, and Murcia. Spain is also responsible for some of the world's finest fortified and dessert wines, the finest of which come from the town Jerez (Sherry), in Andalucía. A unique fortified wine made in and around the town of Jerez, from which it takes its crudely anglicized name. The region is shaped by a strong Mediterranean climate. Summers are hot with normal temperatures of 85 to 105 degrees fahrenheit and little to no rainfall during most of the growing season. What makes this seemingly inhospitable region ideal are its climatic and geographic peculiarities. The greatest influence comes from two winds; the Levante (Easterly), which brings hot, dry air from the Mediterranean, and the Poniente (Westerly), which draws in a cooler, more humid stream from the Atlantic down to the Straits of Gibraltar. The region also benefits from a stunning white, calcareous soil called Albariza. The triangle of land inside the points of Jerez, Puerto de Santa Maria, and Sanlucar de Barrameda is demarcated as Jerez Superior and has the best balance of nutrients. The chalky, sandy soil does an incredible job of trapping moisture under its sun baked crust, providing the native varieties (Palomino, Muscatel, and Pedro Xinmenez) with a continuous source of water throughout the growing season. Its brilliant white color reflects most of the light, and therefore heat, away from the ground maintaining a sustainable temperature under the vines' canopy. While there are a number of different styles of Sherry there are two broad types; oxidized and unoxidized. Within the unoxidized branch, Finos are the lightest, with Manzanillas (a Fino from the town of Sanlucar de Barameda) being the lightest of all. Amontillados start life in the same way as a Fino, but the protective layer of yeast on their surface, called flor, dies away, allowing a slight oxidative character, reminiscent of roasted nuts. A richer style, Palo Cortados, are considered by many aficionados as among the finest wines. During the aging process, the flor dies away as with an Amontillado, but these are made with only the finest juice. Traditionally these wines occurred only by accident among barrels selected to be delicate finos, but a modern understanding of the yeasts allows them to be produced deliberately year after year. Olorossos are intended to be oxidized from the outset, and are often left outside of the cool bodegas to bake in the sun. 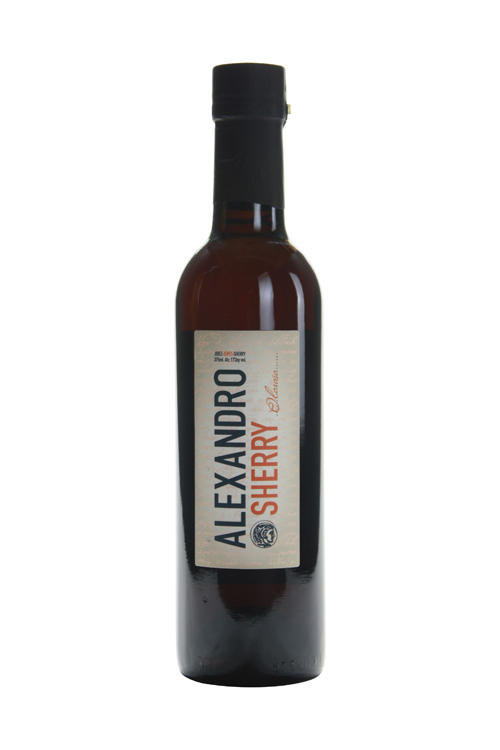 Pedro Ximenez is both a grape variety and a luscious, sweet style made from raisined berries which are then fermented in the same manor as Olorosos. While some of the younger examples are great served on ice-cream, some older VOS and VORS develop incredible length and complexity. Dessert wines are usually any sweet wine drunk with or around a meal. White fortified wines (fino and amontillado sherry) are usually drunk before the meal, and the red fortified wines (port and madeira) drunk after it. Most fortified wines are regarded as distinct from dessert wines, but some of the less strong fortified white wines, are regarded as honorary dessert wines. In the United States a dessert wine is legally defined as any wine over 14% alcohol by volume, which includes all fortified wines.